As National Arts and Humanities Month comes to a close over the next week, we strongly encourage you to take some time out to appreciate the arts in your community. While you’re at it, you might as well enjoy some spooky Halloween fun! Today we are spotlighting a handful of events hosted by some Florida Division of Cultural Affairs grantees that will allow you to get into the Halloween spirit. 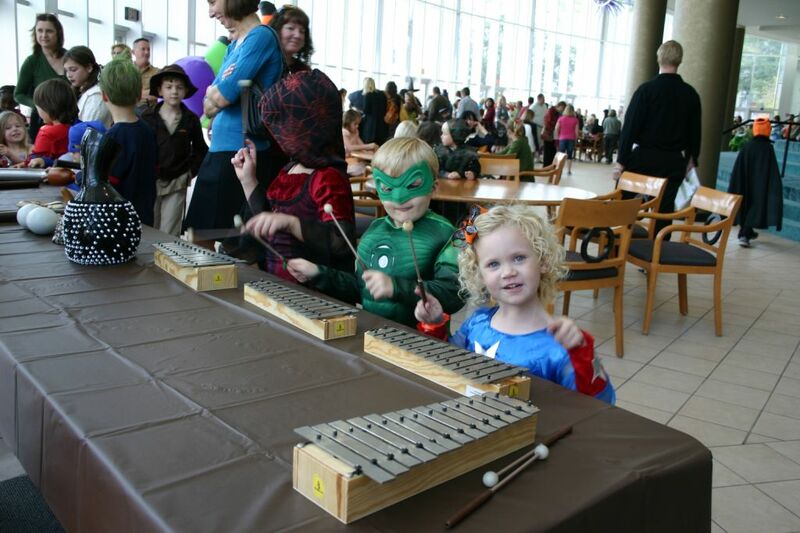 Superheroes enjoying the music instrument zoo at the 2011 Symphonic Spooktacular. 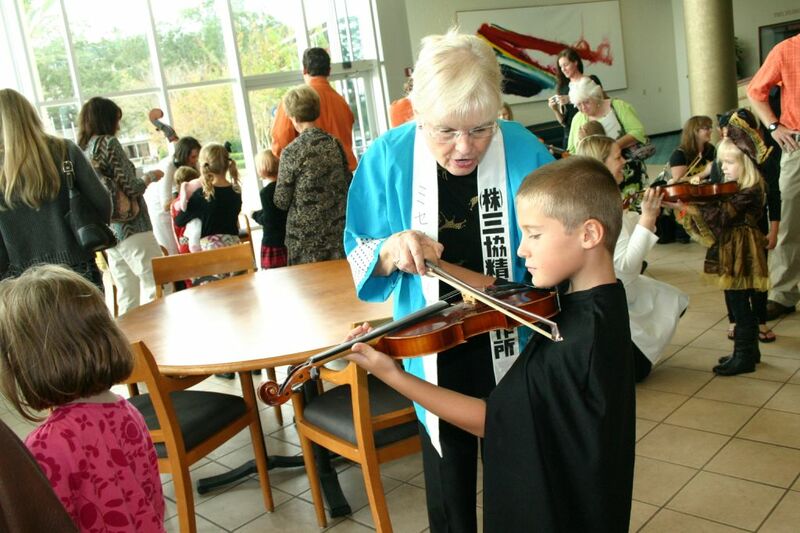 Photo courtesy/used by permission of Jacksonville Symphony Orchestra. Under the direction of conductor Scott Gregg, the concert will include music from Harry Potter, William Tell Overture, Funeral March of a Marionette,andcomposer Gregory Smith’s A Major-minor Mystery. Dancers from Douglas Anderson School of the Arts will be featured in “Duel of the Fates” from Star Wars: The Phantom Menace. Make sure to bring the kids in their favorite costumes to join the ghouls and goblins of the orchestra and arrive early for the pre-concert activities. For more information and to purchase tickets, visit http://www.jaxsymphony.org. Learning more about the orchestra at the 2011 Symphonic Spooktacular. Photo courtesy/used by permission of the Jacksonville Symphony Orchestra. The play is set in an eerily stylish office in hell and follows the clever scheming of Satan’s chief psychiatrist, Screwtape, as he entices a human ‘patient’ toward damnation. The Screwtape Letters is still one of Lewis’s most popular and enduring works along with The Chronicles of Narnia, and it includes many of the theological themes and insights into human nature that his writing was known for. For more information and to purchase tickets, go to http://www.screwtapeonstage.com or http://www.strazcenter.org. 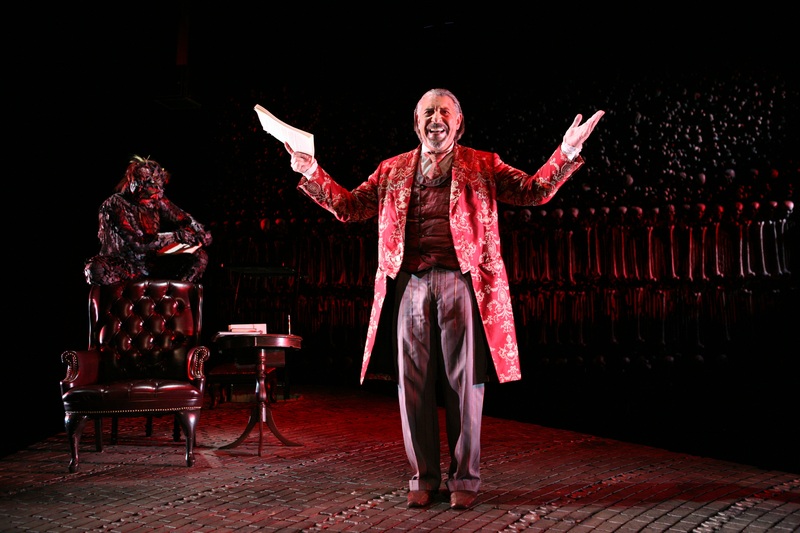 Max McLean stars as “Screwtape” in THE SCREWTAPE LETTERS. Tickets range from $29 – $89. Student tickets are available for $25 each; limit two per customer, at the Box Office. Valid ID must be presented. All ticket prices are subject to facility fees. To purchase tickets or for more information, visit http://www.ScrewtapeonStage.com. Photo courtesy/used by permission of the Fellowship for the Performing Arts. Another fun Halloween-appropriate spectacle will be the Rocky Horror Show at the Delray Center for the Arts. If you have never experienced Rocky Horror live, it is more than a musical. It is an experience that you will not forget. This performance is presented by Entr’ Acte Theatrix, and they will have audience participation ‘survival kits’ available for purchase to those who want them. This show is an outrageous assemblage of the most stereotypical science fiction movies, Marvel comics, Frankie Avalon/Annette Funicello outings, rock ‘n’ roll of every vintage, and not for kids. The play (upon which the classic film The Rocky Horror Picture Show is based) has grown from an experimental production originally produced in a small London theatre in June 1973, to a cult phenomenon with fans world-wide. Rocky Horror will be in the Crest Theatre at the Delray Center for the Arts from October 25 to November 4. So if you’re in the area, you should have a fun Arts and Humanities Halloween with Dr. Frank N. Furter doing the Time Warp again. Purchase tickets at http://delraycenterforthearts.org. Boo at the Zoo at the Brevard Zoo, Friday-Sunday, October 26-28 from 5:30 to 9:30 p.m. The Boo at the Zoo features a variety of activities for the whole family to enjoy including live stage acts, a special play area, a costume contest, Boo Choo train rides, a witch’s lair, a haunted trail, and trick-or-treating. Halloween Nights at the Museum at the South Florida Science Museum, Friday October 26 from 6 to 10 p.m. This fun and educational event includes a costume contest, trick or treating, pumpkin decorating (and smashing! ), and even cow eyeball dissection. For more information contact events@sfsm.org. The Tallahassee Museum’s Halloween Howl, Friday and Saturday, October 26 and 27 from 6:00 to 10:00 p.m. Come out for a howling good time, which includes a haunted trail (and a not-so-spooky trail for younger kids), the haunted farm, carnival games, a costume contest, and live music. These are only a few of the events going on over the next week, but whatever you do we hope that you will take out some time to appreciate the arts in your community during this last week of National Arts and Humanities Month. We also want to wish everyone a safe and fun Halloween! How will you have an Arts and Humanities Halloween? Suggest additional events and opportunities in the comments below or as comments for this post on our Facebook page. This entry was posted in Culture Builds Florida, Spotlight On and tagged Brevard Zoo, culture builds florida, Delray Center for the Arts, florida division of cultural affairs, Halloween, Jacksonville Symphony Orchestra, National Arts and Humanities Month, South Florida Science Museum, Straz Center, Tallahassee Museum by culturebuildsflorida. Bookmark the permalink.